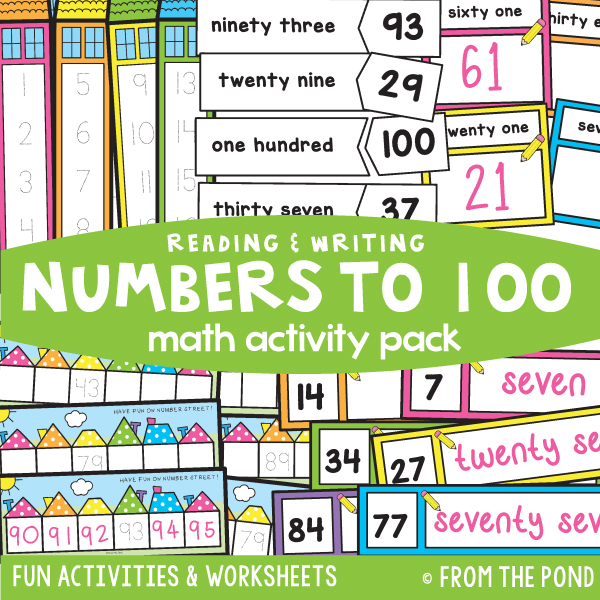 We just listed Math Pack 31 which includes 5 sequenced learning activities for learning to read and write numbers to 100. 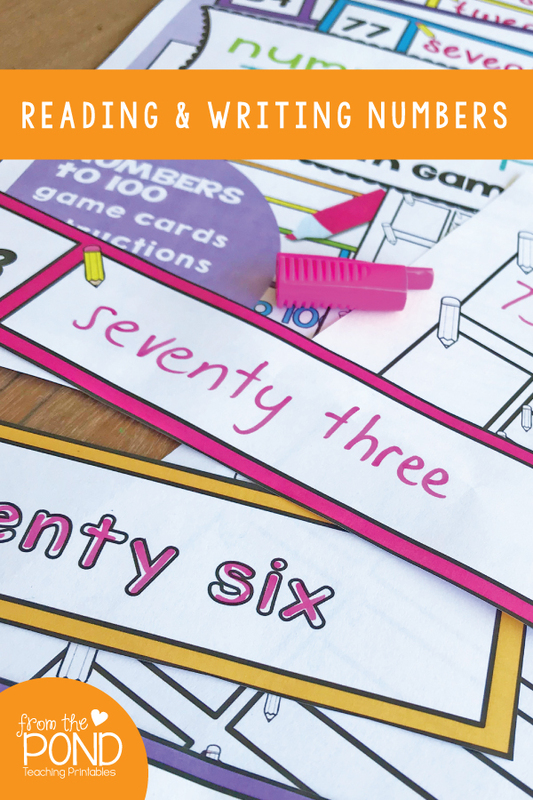 This pack encourages the provision of dedicated time for students to learn how to say, identify, read and write numbers and number words to 100. 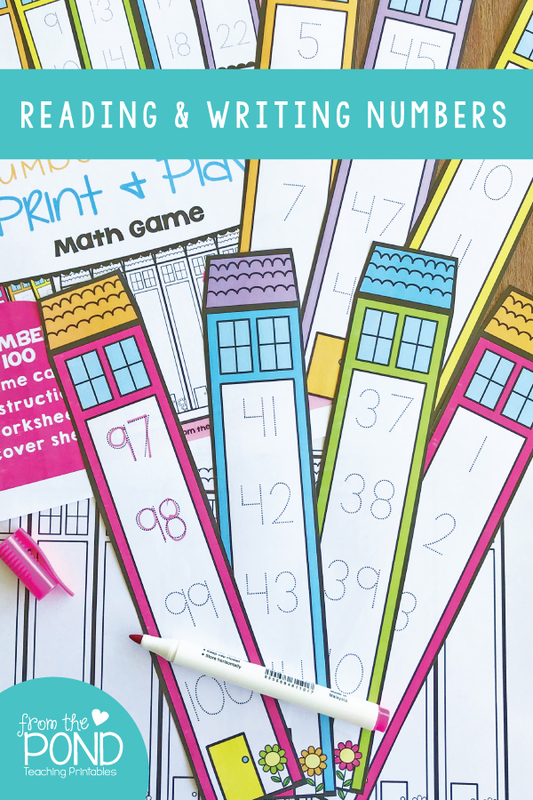 On each house shaped card students will trace a short sequence of numbers. 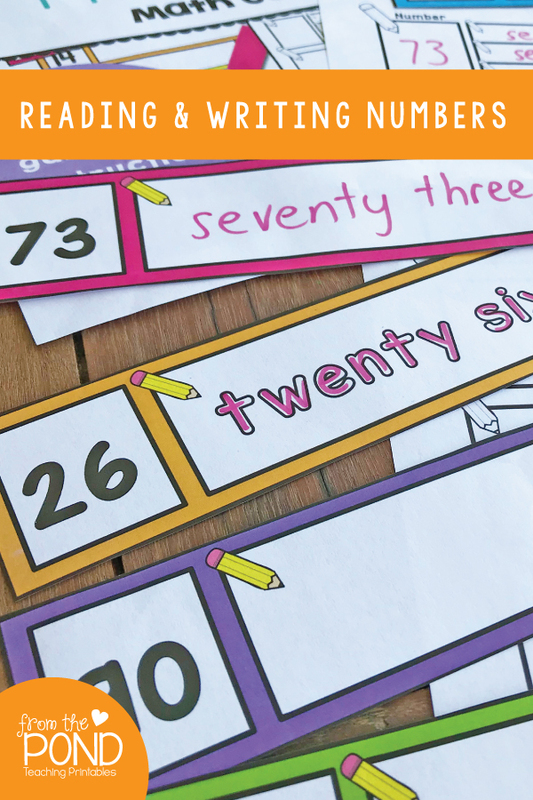 Encourage them to learn correct stroke formation and say the numbers as they trace. Pay particular attention to the easily confused numbers - thirteen and thirty, fourteen and forty, fifteen and fifty, and so on. 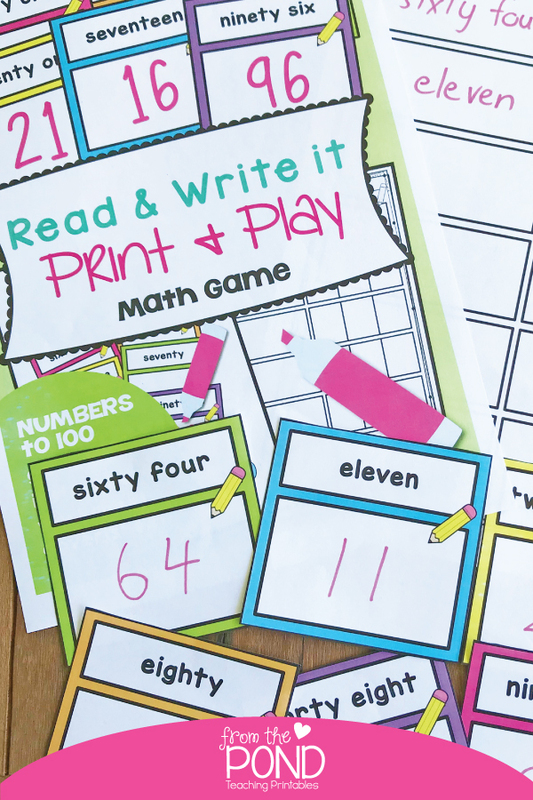 In this game, students will match the puzzle pieces for numerals and number words. 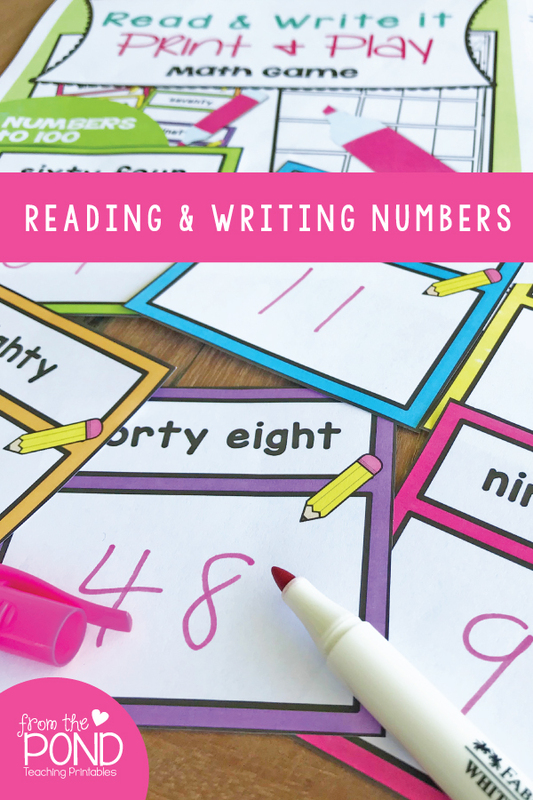 Here students will read the number word on each card and write the matching numeral. 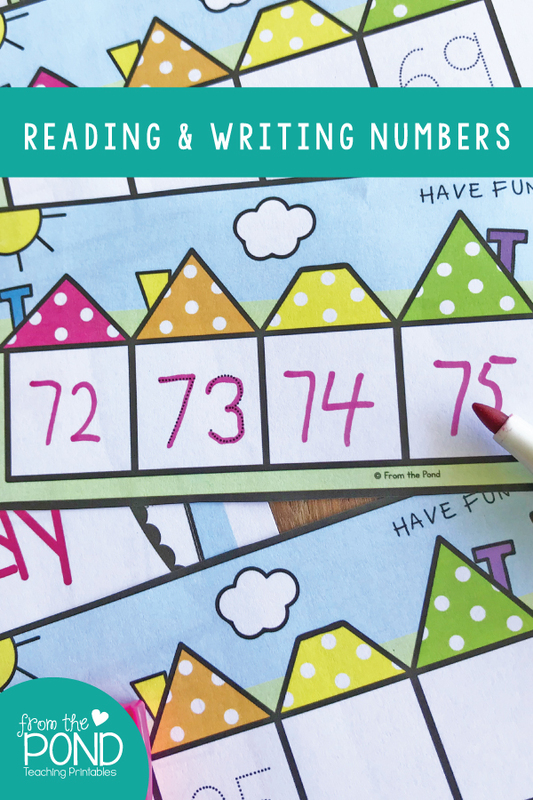 In this next edition of Number Street (easier versions included in previous packs), students will write numbers in short sequences, starting at various positions in the range 31-100. 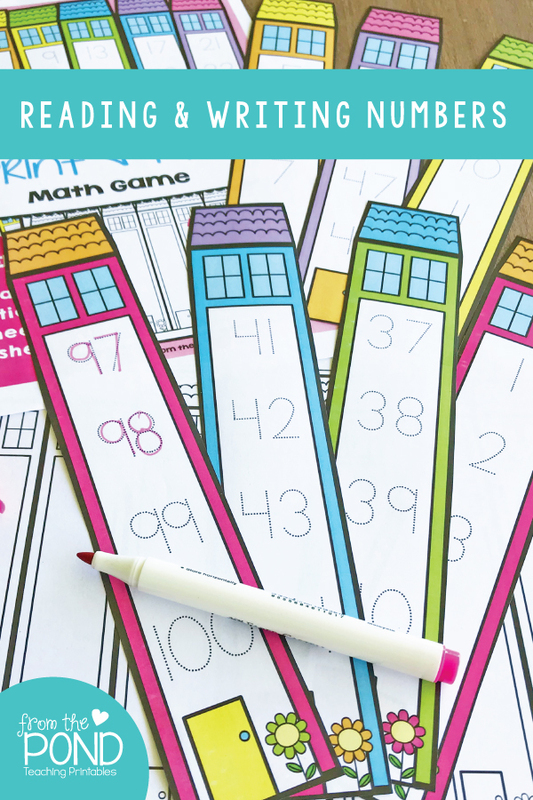 In this activity you can chose from tracing or writing. 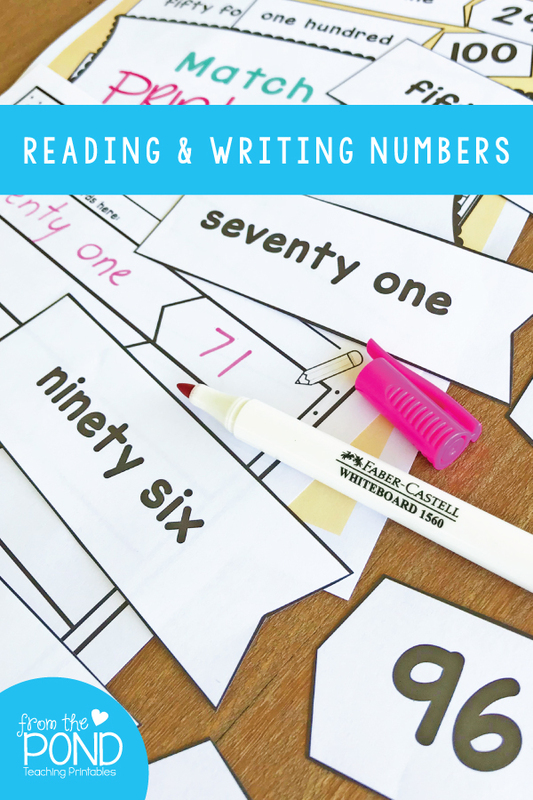 Students will look at the number and write the matching number word in the space provided. 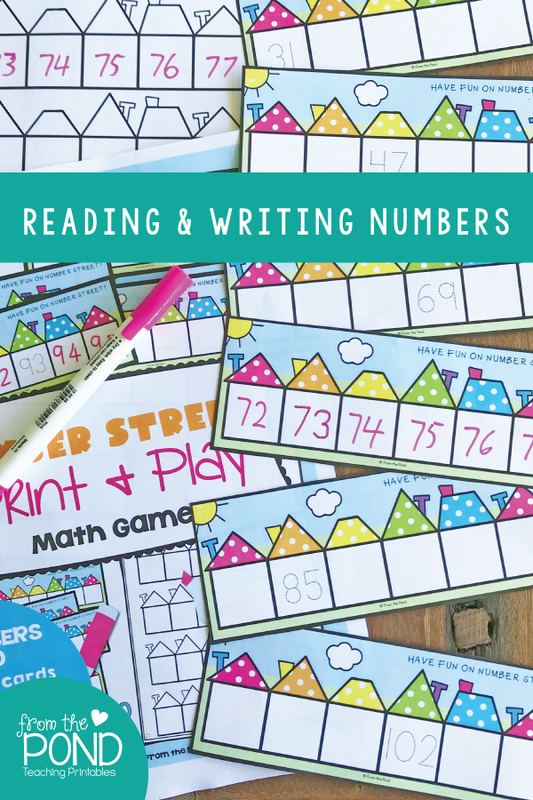 Math Pack 31 is ready for you to implement in the classroom tomorrow! Just print, laminate, some easy cutting and you are good to go!